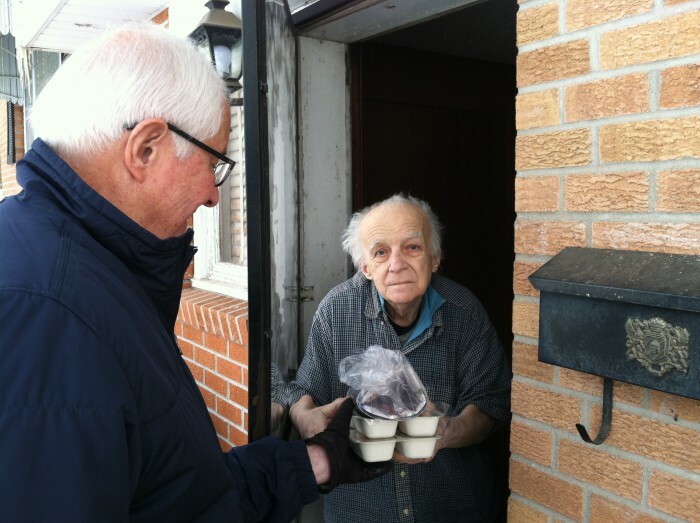 Independence Meals On Wheels | May those we serve see Christ in us and we see Christ in them. Independence Meals on Wheels is a community based program. It began in 1974, with the Church Women United of Independence being aware of the great need for the Independence to have a service available that would meet the nutritional needs of individuals who were homebound, handicapped, elderly, those convalescing from a hospital stay and other needy individuals. They began meeting in July 1975 with a steering committee made up of community leaders, Ministerial Alliance and other concerned citizens to implement a plan. The program was incorporated and became a Not-For- Profit Corporation on September 23, 1975, with its office located in the Trinity Episcopal Church at 409 N Liberty. Today the Independence Meals on Wheels is still located in the Trinity Episcopal Church. The program continues to be a vital part in supplying a nutritional meal to those in need, using dedicated volunteer drivers to deliver meals through out the City of Independence and the Sugar Creek area. Who is eligible to receive a meal? What is the cost? What is your contact information? Click here to get the answers to your questions. Each meal is prepared by our volunteers and hand delivered to those who request it. We package our meals daily. See all the activity. Each nutritious meal supplies 1/3 of the daily dietary needs for an older adult. Entrees include beef, chicken, pork, fish, and pasta. We have Partnered with the THCF to receive donations. Please click their logo and you will be directed to their site. In the form, fill in the amount and list Meals on Wheels, Inc. as your fund.